El Chapo prison escape: What Pablo Escobar's hitman has to say about it. 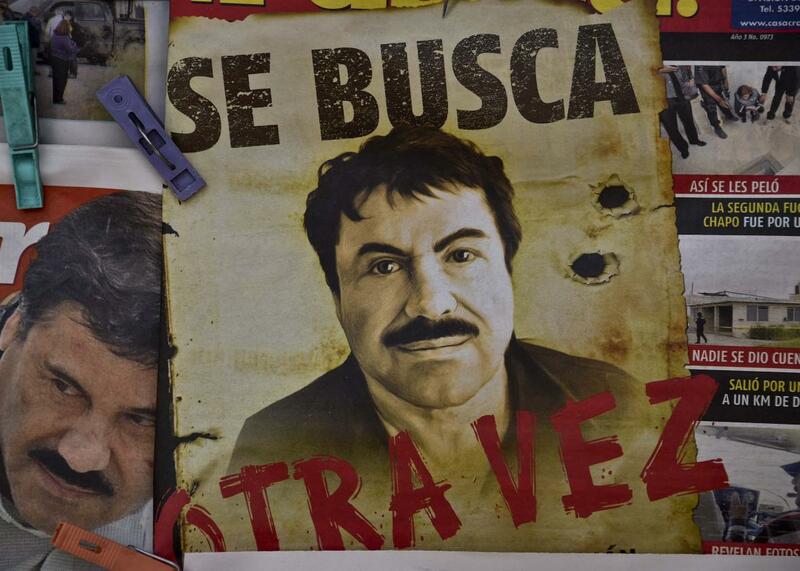 A poster with the face of Mexican drug lord Joaquin “El Chapo” Guzman, reading “Wanted, Again,” at a newsstand in Mexico City. Pablo Escobar’s chief hitman gave an interview yesterday to Univision about Joaquín “El Chapo” Guzmán’s legendary prison escape. It’s chilling and fascinating, and offers insight from pretty much the only person alive who knows what it’s like to break out of maximum security prison as the most powerful drug lord on the planet. Jhon Jairo Velásquez, also known as “Popeye,” was Escobar’s right hand until he turned himself in to Colombian authorities in 1992. Like El Chapo, Velásquez escaped prison, twice, and also through tunnels. Velázquez predicts El Chapo won’t be free for long—he gives him 18 months at most—and offers advice to Mexican authorities, the DEA and CIA, saying, somewhat surprisingly, that “the most serious problem for a person on the run” is “Wanted” posters. Velázquez says law enforcement should get as many up as possible. Velázquez also offers advice to El Chapo, telling him to head to the mountains in Guatemala, arm himself and declare an all-out war on the Mexican government in order to force them to come to an agreement with him, and rule out extradition—one thing powerful drug lords, like Escobar and El Chapo, actually fear.